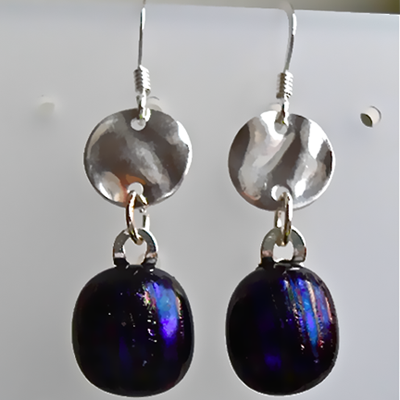 The earrings measure 4cm including the Sterlin Silver earwires. The glass pieces measure 1.2cm x 1cm and are made of two layers of glass. A layer of Black glass topped with a layer of dark Purple textured Dichroic glass. The round plated silver connectors are 1cm x 1cm.